A horizontal tasting of 2015 Riesling from Cave Spring is a showcase of exceptionally made, individual expressions across six different labels. The thing that stands out is how different the 2015s are — there’s no immediate or even loose connection to past releases. As Vice-President of Marketing and Sales Tom Pennachetti explains, “they are unlike any of the others.” The warm, dry summer and fall encouraged good concentration and ripeness in the fruit, which has yielded a succession of aromatic and balanced Rieslings with nicely integrated acidity that are instantly appealing and have the potential to develop over the next decade. 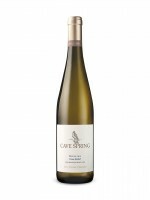 On a quality vs. price ratio, the one to watch is the 2015 Riesling Estate with its harmonious and expressive flavours of juicy fruit enhanced by herbal and mineral notes.